‘I believe every woman should own at least one pair of red shoes.’ Terry Tempest Williams. | Sally says . . . eat, sleep, work, read, play, draw, bark . . .
← ‘A camel is a horse designed by a committee.’ Alec Issigonis. ‘I believe every woman should own at least one pair of red shoes.’ Terry Tempest Williams. Nice post. I was checking continuously this blog and I am impressed! Extremely useful info specially the last part 🙂 I care for such information much. I was looking for this certain info for a very long time. Thank you and best of luck. Nice sketch. Red shoes 👠 are the best! 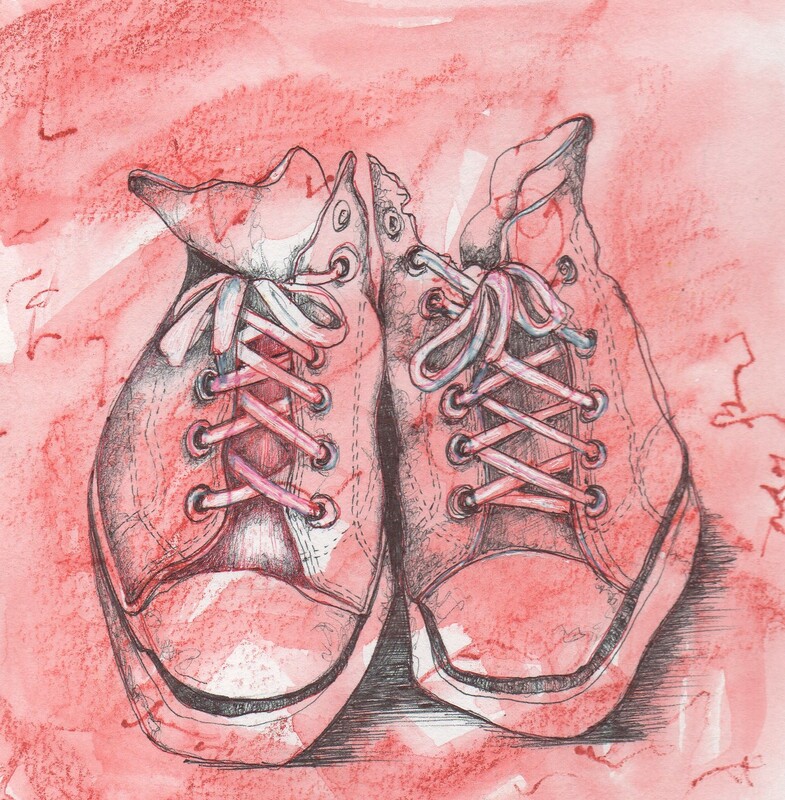 PS – excellent sketch of “lived in” shoes Sal !! SEVEN pair red, two coral/orange, one dark turquoise, one pale green, one olive suede, four off-white, two navy (one with crystals), five gold, three pearl, twenty black, twelve brown, a zebra print, a python, four trainers, seven/eight boots, three slippers, and various mixtures. THIS IS TOO MANY SHOES. OK, OK, I give in – you win! 🙂 But ‘too many shoes’? Never . . .
Oh, yes. You’ve been a catalyst for me to examine my hordes. I need to thin these shoes!